Morissette Amon of Team Sarah performed “Who You Are” by Jessie J on The Voice of the Philippines top 8 live performance night, September 22. 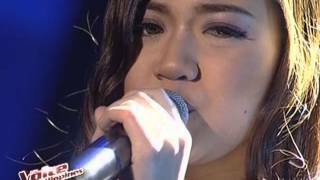 Throwback : THE VOICE Philippines : Morissette Amon ‘WHAT ABOUT LOVE’ Live Performance. ... Morissette Amon Live Performance at Resort World Manila . What Morissette did to impress Jessie J?